On 27 May 2015 at 11:15 am the brass duo format will be explored at the 2015 International Trumpet Guild Conference at Ohio State University in Columbus, Ohio. Anchored by trumpeters Peter Wood, Marc Reese, bass trombonist David Brubeck and a list of all-star trumpet players, the duos of the Brubeck-Neal Duo will be presented in this lecture recital. Soon to be published by Gordon Cherry as Cherry Classics, this collection of ten concert duos have been arranged performed and refined over the last several seasons by Brian Neal and David Brubeck. 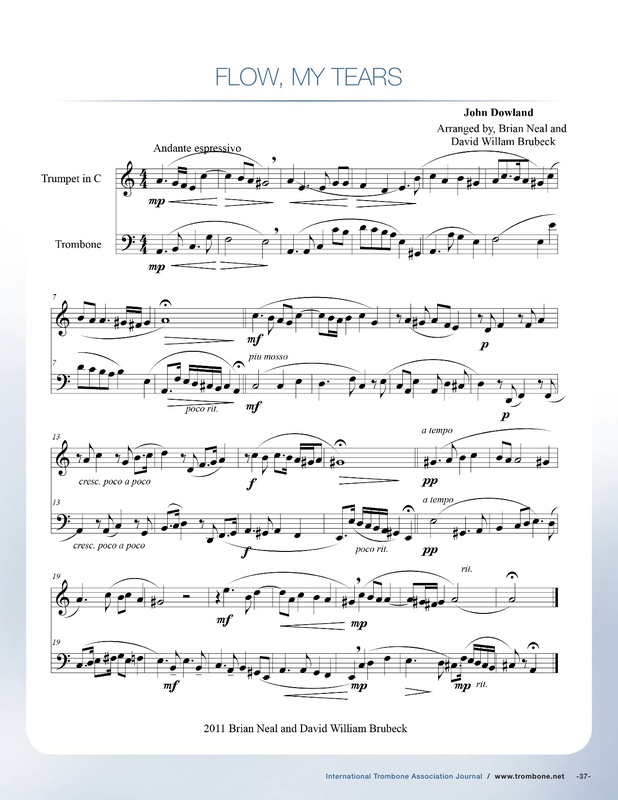 Listed below, courtesy of the International Trombone Association, is a reprint of the Brubeck-Neal Duo arrangement of Flow My Tears by composer John Dowland, from the April 2014 ITA Journal. 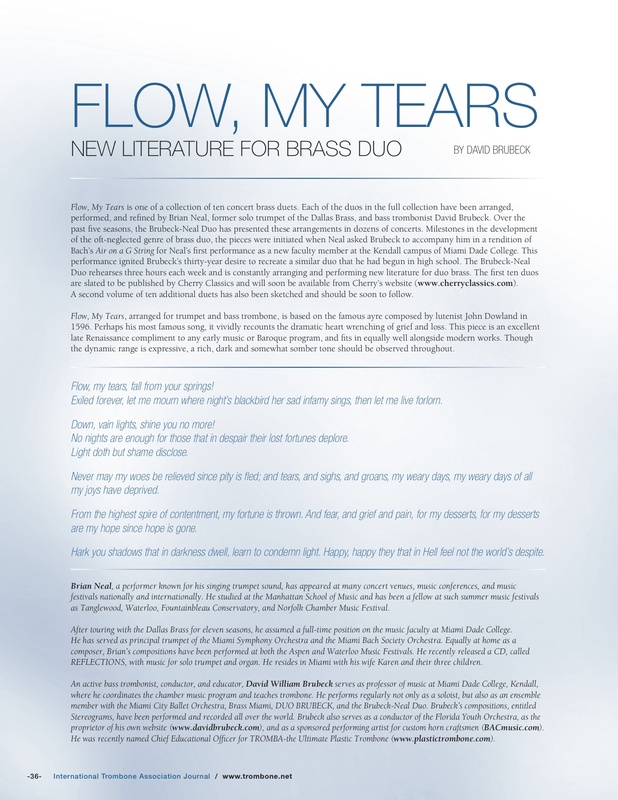 This and Badinerie, published in the Journal of the ITG, are but just two of more than a dozen duos spanning a variety of genres to be featured at the ITG lecture recital on the emerging genre of duo brass. Here is a brief clip of the Brubeck-Neal Duo in concert as part of the Music in Miami Concert series performing their arrangement of Air on a G String by J. S. Bach. This article is a reprint from the April 2014 Journal of the International Trombone Association. Thanks to the Journal and editor Diane Drexler.